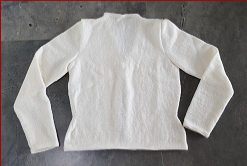 This ladies V neck 4ply Jacket with waist shaping is worked in one piece to the armholes. The hems can be knitted into position or slip stitched in place later. 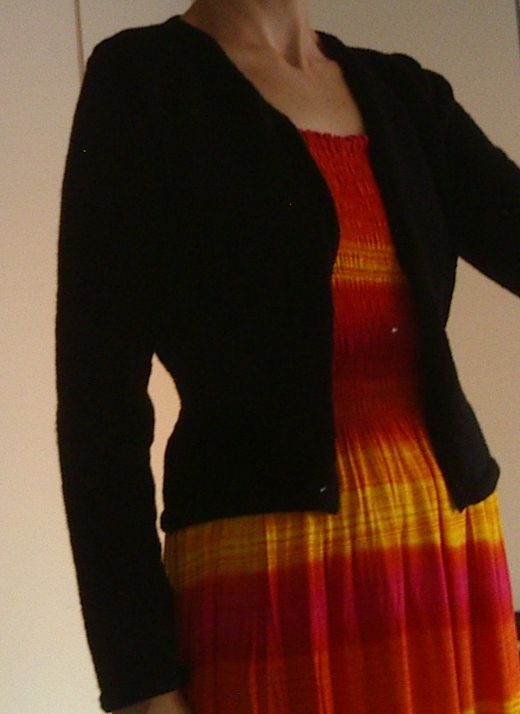 The pattern includes the option of short or long, set-in sleeves. The Jacket is intended to be a firm fit. 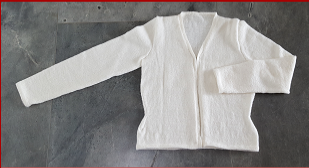 Garment measures: 85 (95-105-115) cm [33½ (37½-41½-45¼) ins]. Yarn required: Bendigo Woollen Mills Luxury 4ply, 200g balls@720m. Long Sleeve Jacket 2 (2-2-3) balls. Short Sleeve Jacket 2 (2-2-2) balls. Needles required: A pair of 3.25mm [UK 10, US 3/4] knitting needles. A 3.25mm [UK 10, US 3/4] circular knitting needle, 80cm [31½ ins] long. Also required: A hook and eye (optional). Tension: 28 sts and 36 rows to 10cm [4 ins] over stocking st, using 3.25mm needles.